What Will You Do If You Do Not Meet Your Trading Goals? 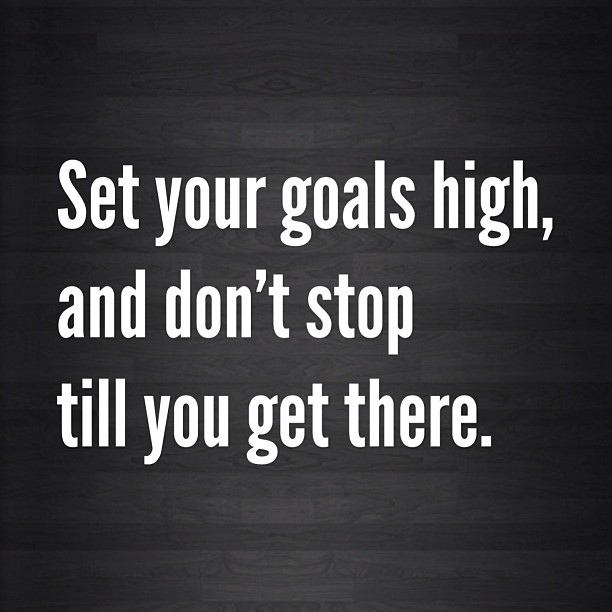 One of the topics I have discussed in a couple of my articles on trading psychology is setting goals. Setting goals is an important part of any business plan, and that goes for binary options too. I have talked about setting useful goals here. To sum up, it is a good idea to avoid setting goals that urge you to rush instead of take your time and choose the best setups. 1-are measurable, and 2-help you improve yourself as a trader and attain higher profits. They should also 3-be meaningful, and 4-be specific. I am trading with the goal of becoming a more disciplined, consistent person. I want to learn how to stick with my plans and see them through. I have abandoned many projects in the past, but this is one I intend to follow through on, even when the going gets tough. My goal is to be profitable every month and every year. My goal is to hit a win percentage of 85%. I am aiming for a 6% ROI per month on average. I want to make enough money trading binary options that I can afford to retire and also give money to charity every year by age 55. While these are all great goals, they also all have pitfalls associated with them. Those pitfalls get deeper if you do not also have a plan ready for failure. While it is great to think we will all meet our goals in binary options trading, we risk failure every time we seek to achieve something. What will happen if you do not meet one of your trading goals? Will you panic? Will you stop trading? Will you overtrade? How will you stop yourself from making things worse? Pitfall: You are trading with the goal of becoming more disciplined, but one day, you take time off when you would normally be trading. You get down on yourself because you took the time off, and lose confidence in the discipline you are developing. The danger is that you will now either 1-give up and back off from the market, or 2-become very harsh on yourself and push yourself too hard, resulting in burnout. Solution: Have a set of acceptable reasons for taking time off. Do not accept an excuse like “because I feel like it.” But do accept something like, “I am feeling sick today,” or “I am unfocused because I am going through a serious life problem.” Wait until you are levelheaded again, and then return to trading as usual. Strive for balance and not just discipline, and you will avoid the pitfalls of shortcomings. It is ok to take a break. Pitfall: Your goal is to become profitable each month, but what happens if you do not actually meet that very high benchmark sometime? What if you miss a month? Does that constitute total failure? Will it cause you to lose confidence in your system, call yourself a failure, and go back to the drawing board? That could result in throwing away a profitable system and sabotaging your progress. On the other hand, if you don’t set standards, you are setting yourself up for failure too. Solution: Many binary options traders find that quarters are better to measure progress in than months. Months are a very short time period. You should figure out the longest losing streak you could expect based on back-testing. If you exceed that, it may be time to take a break and figure out what is going on. But if you do not, then you may want to accept it as par the course and proceed. Know that not every month will be profitable. You can aim for it, but do not expect a perfect track record. Pitfall: Your goal is a win percentage of 85%, but your system tests are averaging out to 80%. Do you consider this a failure and go back to step 1 and try to replace your system? Doing so may be tempting, but foolish. Solution: Remember to draw a distinction between your goal and reasonable success. Eighty percent is actually an excellent win percentage, and many traders would be very happy to achieve that. It does not mean you should not aim for the 85% (or even higher), but have some perspective and accept the 80% as profitable. Keep looking for ways to make your system even more profitable—but do not throw away what you have achieved as worthless when it isn’t. Pitfall: You are aiming for a 6% ROI each month, but you are averaging only 4%. Will you react negatively to this, and decide to abandon your trading method, or even stop trading altogether? Will you start overtrading, taking setups which are less than ideal, or increasing your risk—along with your drawdown? Solution: This is again a matter of perspective. A lot of traders would be thrilled with a 2% ROI, so if you are doing better than that—outstanding. If you are getting anywhere near that, you should be pretty happy about it. You may have a certain goal like, “I want to double my account every month/two months/six months,” and think that displays an understanding of compounding, but in a way, it actually means you are underestimating that power. Have some patience now. In the long run, it will pay off. And eventually, you will be making quite a lot of money with that 4% ROI per month—or even that 1% ROI per month. Consistency is key if you want to experience those benefits, whether sooner or later. Pitfall: You may have a goal year or age in mind where you want to be able to quit your day job (maybe even trading as well) and/or do something meaningful and creative with your money. It is a good idea to have some kind of timeframe, because you truly do not have forever. But if that goal makes you rush in the short run, you will never get there, and there will not be a long run. The more steps ahead you look, the easier it is to trip and fall over the terrain you are crossing now. Solution: If you take care of the short term, the power of compounding will come to your aid, taking care of the long term. You cannot really predict what is going to happen that many steps ahead. You could be farther—or closer—than you realize. The more effort you put into becoming the very best trader you can be in the present, the closer you will be. So is it possible to avoid the pitfalls of goalsetting? Absolutely. You need to do some extra thinking about your goals and understand how they fit into your trading and your life. Every strategy has limitations, and so does every goal. Know what you are going to do when the going gets tough. Having perspective will keep you from panicking and doing something foolish. Keep testing and working on the basics—becoming the very best trader you can be—and understand that small failures do not need to compound into bigger ones. There are many stumbles on a journey up a mountain. Plan for your falls and you will be able to get up faster and get back on your upward climb.